Regulators have been after the automaker in recent months for botching recalls. Federal safety regulators said Sunday that Fiat Chrysler Automobiles will pay a record $105 million for mishandling 23 recalls. The National Highway Traffic Safety Administration said Chrysler admitted to violating federal safety law. The agency has been pressing the automaker over its handling of recalls for several years. NHTSA also announced that Chrysler (FCAU) has agreed to "submit to rigorous federal oversight" for three years and to hire an independent monitor. The expected fine stems from Chrysler's handling of 23 recalls involving 11 million vehicles. Of the $105 million Chrysler agreed to pay, $70 million is a cash penalty. The company will also pay another $20 million to ensure that drivers' vehicles are fixed by, among other things, offering cash incentives to owners. Finally, Chrysler could face another $15 million in penalties if the independent monitor decides in the future it hasn't met certain terms under the settlement. 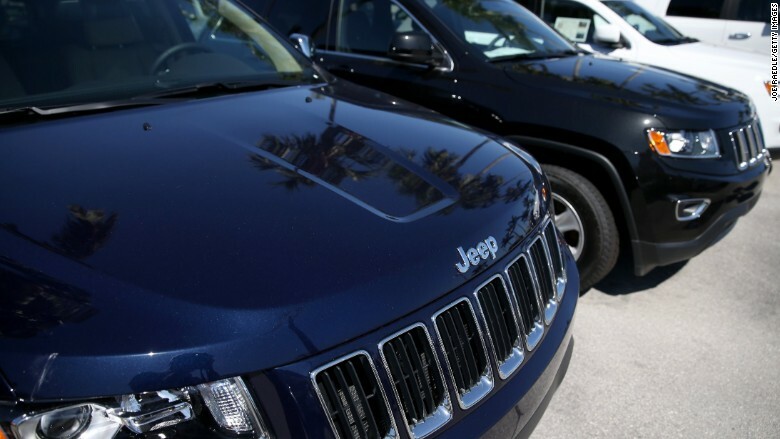 One of the most high profile of the recalls involved in Sunday's settlement included the Jeep Grand Cherokee and Jeep Liberty from model years 1993-2007. At issue were gas tanks that can leak after a severe rear impact. NHTSA said in 2013 that more than 50 deaths had been linked to the problem. Now owners of 1993-1998 Jeep Grand Cherokees that are "prone to deadly fires" and have yet to be repaired will be able to trade in their SUV for $1,000 above market value or get a $100 gift card to have it fixed. Jeep owners driving a Liberty from model years 2002-2007 or a Grand Cherokee from 1999-2004 can also get a the $100 cash incentive for taking their SUVs in for repairs. In addition, owners of several models of Dodge and Ram trucks must be offered the option to sell their vehicle back to Fiat Chrysler if their vehicles were recalled for defective suspension parts and have not yet been repaired. Chrysler said in a statement that it accepts the "consequences with renewed resolve to improve our handling of recalls and re-establish the trust our customers place in us." The federal auto safety regulator, under fire on Capitol Hill for not being tough enough on recalls, has recently come down hard in a number of cases. In a press call Monday, U.S. Transportation Secretary Anthony Foxx said these penalties, which are among the heaviest NHTSA has ever imposed, are a sign auto regulators are getting more "muscular." He said NHTSA is looking to make a culture change among automakers by beefing up punishments for infractions. The agency fined Honda (HMC) $70 million earlier this year for failing to report accidents and safety issues. Last year, General Motors (GM) was ordered to pay $35 million for its 10-year delay in reporting a faulty ignition switch now tied to at least 124 deaths. A criminal investigation by the Justice Department into GM is ongoing. The federal government's largest ever criminal penalty -- separate from NHTSA fines -- against an automaker was $1.2 billion, which Toyota (TM) agreed to pay last March to settle charges it mishandled recalls related to unintended acceleration. -- CNNMoney's Peter Valdes-Dapena and Chris Isidore contributed to this report.